Justice Minister meets Facebook official, says terrorist organizations have moved to Twitter instead of Facebook. 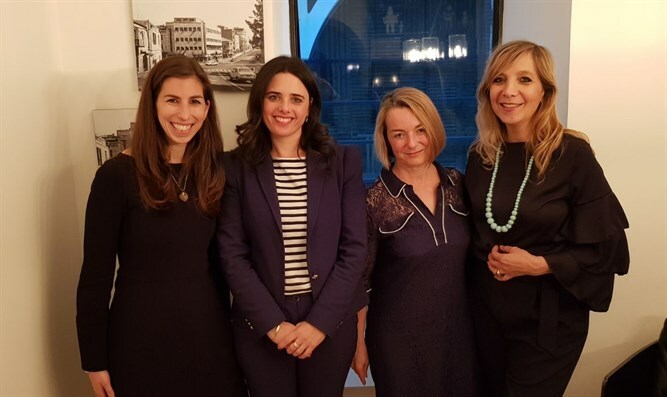 Justice Minister Ayelet Shaked on Monday met with Delphine Reyre, Facebook's director of public affairs in France and Europe. The two met ahead of a conference to fight hate speech on the Internet which will be held on Tuesday in Jerusalem. Reyre will attend the conference as will the justice ministers of Italy, Greece and Malta. The conference is part of the 6th Global Forum for Combating Antisemitism. “For this purpose we have the content removal law. We called this the 'Facebook Law', but the truth is that today we should call it the 'Twitter Law,'" continued Shaked, referring to a law which would allow Israeli courts to order the removal of online incitement on Facebook. "We see indications on the social networks of a growing turbulence that could result in a wave of incitement around sensitive dates: Passover, Nakba Day, Land Day, and the march of the millions," added the justice minister. Facebook, Twitter and Google have been facing a concerted campaign by Jewish and pro-Israel activists, calling on them to take action against anti-Semitic incitement. Activists and terror victims’ rights campaigners allege the companies are turning a blind eye to the torrent of hate which helps inspire deadly terrorism in Israel. In 2016, Israel filed 158 requests to remove inciting content on Facebook, and 13 requests to YouTube (owned by Google).